The city of Hyderabad is not just famous for its food and heritage, but also for its growth and diversity. 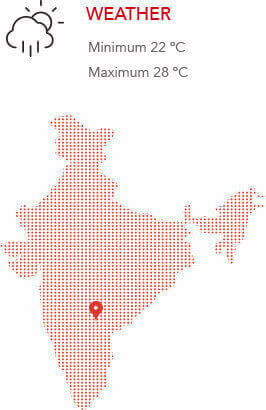 With 6,809,970 residents, Hyderabad is the fourth most populous city in India. The people of this city come from various backgrounds and ethnicities and call themselves Hyderabadis. Immigrants in the “City of Nawabs” are people mostly from the rest of the country, most of who have come in primarily after the software boom of the late 1990s and early 2000s. A significant chunk of the immigrants are the people who've come seeking careers/wealth in the capital which has also always been the biggest business hub. Getting around the city is really easy by self-drive and chauffeur drive cars. In Hyderabad, you can easily find both self and chauffeur-driven cars on rent. Many Car Rental companies provide efficient and luxurious vehicles keeping in mind your convenience and comfort. Your transportation needs to and from the airport or the station, sightseeing, excursions within and around the city will also be taken care of. In the mad rush of the city life, Avis provides the services of car hire in Hyderabad without a driver and car rental in Hyderabad with a driver to make the traveling easy, convenient and cheaper. You can hire a self-drive or a chauffeur drive cab in just a few clicks with Avis Mobile App booking and Website booking. Booking a cab through Avis mobile app or Avis website is a very simplified process. Just log in on Avis India website or mobile app, enter your origin destination, select your preferred car from the list of available cars and make your booking at just the click of the button. Car rentals in Hyderabad with driver is the best way to commute within the city without having to worry about owning and maintaining a car. In this rapidly growing city, not everyone can enjoy the luxury of owning a car but, with Avis, everyone can travel in and around the city in a chauffeur driven car. Avis India offers best self-drive cars in Hyderabad to choose from a fleet size of 2500+ cars like Toyota Innova & Innova Crysta, Honda Amaze, Maruti Swift, Swift Dzire, Ford EcoSport, Honda Amaze, Creta, Mercedes, etc. thus making it easier to find the most convenient option for your weekend trips. The tech savvy, young and enthusiast population of Hyderabad love the freedom of car rental Hyderabad self-drive which is being catered with the best of the services by a team of hardworking executives who put their heart and soul to deliver the best to the customers. Customers may opt for the most convincing option. Take a car rental in Hyderabad without a driver to enjoy the freedom of self-drive or opt for the car rental in Hyderabad with a driver to peacefully sit in the passenger seat and relax. Avis also provides Luxury car rental in Hyderabad if you want to move around in style. One of the oldest and biggest mosques in the country, Mecca Masjid was built by Md. Quli Qutub Shah during his reign and can easily accommodate almost 10,000 worshippers simultaneously. The arches are carved from a single piece of stone and have important verses of the Holy Quran written on them. At the entrance are the marbled graves of several rulers of the city, such as the Asaf Jahi kings and the Nizams. Golconda Fort is situated in Golconda, which is 11 km from Hyderabad. 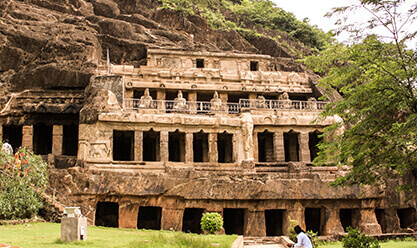 It was built in the 13th Century by the Kakatiyas. The fort complex is situated at 400 feet above sea level and has four forts in it, each adorned with royal halls and apartments, mosques, temples, stables, etc. The architectural beauty of the fort is enhanced by ornate gates, pavilions, domes and entrances. The fort is famous for its sophisticated acoustic system. Salar Jung Museum in Hyderabad has a rare collection of beautiful pieces of fine arts, tapestries, jade artifacts, weaponry, paintings, sculptures and much more. Named after Nawab Mir Yousuf Ali Khan Salar Jung III, who was the Prime Minister of the 7th Nizam of Hyderabad, it is the third largest museum in India. Some of the prized possessions of the museum include Tipu Sultan’s wardrobe, swords of Aurangzeb, painting by Raja Ravi Varma and a furniture collection from the time of Napolean. This 380-acre zoo, located close to the Mir Alam Tank in Hyderabad, has over a hundred species of animals, birds and reptiles, including some rare ones like the Asiatic lion, the Indian rhino, gaurs, panthers, crocodiles, orang-utan, pythons, etc. Different types of kangaroos, deer, nocturnal birds, owls and antelopes can also be found here. Migratory birds are attracted to the artificially created embankments. The park also offers boat and ferry rides to visitors. Srisailam is the spiritual station that comprises of thousands of temples, streams with portraits of Gods and Goddesses stationed here. Of all these, some are in dilapidated condition, some have demised and some have gone extinct in the due course of time. Clearly mentioned in the Puranas, it lies in the thick and dense forest of Nallamalla. Vijayawada is an attractive city that has a number of tourist places to visit. It is located about 275 kms from Hyderabad. 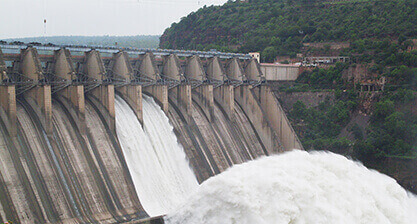 Another famous destination is the Nagarjuna sagar, which is located 150 km from Hyderabad. With world's tallest masonry dam across river Krishna, Nagarjuna sagar is one of the most popular tourist destination of South India. Apart from this, other attractions, worth visiting, in the place are the island museum of Nagarjunakonda and the beautiful waterfalls of Ethipothala. Basara is one of the most beautiful towns in Adilabad district of Andhra Pradesh, India. 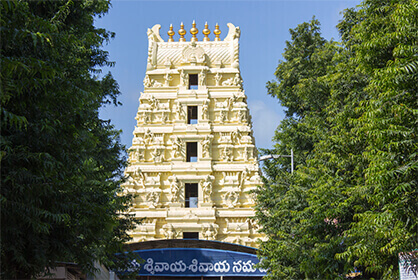 This beautiful town is quite popular with Hindus and is well known for its Saraswathi temple, which is one of the very few temples of the Goddess Saraswati in the whole of South India. In Hinduism, Saraswati is acknowledged as the goddess of knowledge and is the companion of Brahma. In fact, it is believed that it was with her know-how that Brahma created the universe. This town is a famous traditional and cultural spot which attracts a lot of pilgrims who come there to perform “Akshara abhyasam” for their children. 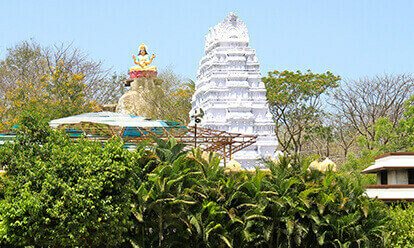 There are many places in Warangal that are bound to leave every visitor with great memories. 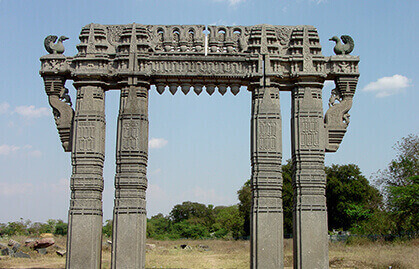 Warangal, located around 200 km from Hyderabad, was once the hub of Telugu culture. The Warangal Fort is known for its wonderful architecture.